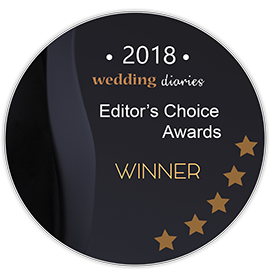 EDITOR'S CHOICE: We've handpicked the best of the best Airlie Beach (Whitsundays) wedding reception venues to help you pick the right one for your big day. Magic and romance are synonymous with the region of the Whitsundays. From glorious white sandy beaches to a crisp blue sky with the sun shining boldly each day, there are so many reasons why thousands flock to these northern islands each year. With love in the air, no doubt the Whitsundays will be a perfect wedding spot. Whether it is a destination wedding or you’re lucky enough to live local, starting the next chapter of your life here is sure to impress. Discover some top wedding venues in the region and feel inspired to celebrate your love in a truly beautiful part of the world. In no particular order, here we list the editor’s choice top Airlie Beach (Whitsundays) wedding venues. With 5 acres of magical waterfront gardens and luxurious lawns, you are spoilt for choice for a ceremony spot. The reception takes place in a fairy-lit restaurant overlooking the water, with top quality food served. Guest numbers can be determined with the help of your wedding planner. Nestled in the Abell Point Marina, Lure Whitsundays is a contemporary and stylish choice for a wedding venue. It offers unrivalled waterfront views that will take your breath away as you walk down the aisle. The view from the balcony is the perfect photo spot with turquoise waters reflecting the tropical paradise behind you. The building is set with contemporary designs and features. There are generous food and beverage packages to please guests all round. Guest capacity can be discussed with the professional events team while planning. This venue offers spectacular views and facilities at an affordable price. You can really have your dream wedding on a budget with the Marine Club Whitsundays. The venue has expansive views over the stunning Pioneer Bay with the waterfront making a serene backdrop for wedding photos. There is ample outdoor space with freshly cut lawn for a gorgeous ceremony. The restaurant and dining options cater for up to 120 people with seating provided. The minimum number of guests is 30 people. A tropical, paradise wedding is yours to enjoy here. Paradise Cove is situated on a private beachfront estate. Surrounding the venue are dozens of tropical gardens and white sandy beaches. From coconut palm trees to bushlands around, photo opportunities will not disappoint here. This venue offers accommodation, guest activities between the ceremony and reception, and fine dining catering options. Wedding packages include transport options and accommodation for guests in the romantic villas. Guest capacity is flexible and can be determined with the professional staff on hand. If you’re after a unique destination wedding, Earlando is the place to start. This venue works with your to create a wedding out of the ordinary and make it truly unforgettable. There are two ceremony choices with the Island View or the Seaside Pavilion, both with stunning and picturesque views. The reception can take place on the shore of a sandy strip with the waves gently overlapping to create the perfect harmony in the background. This venue is secluded and private so the party can really get underway. Seating options and guest capacity are flexible for an alfresco reception. Here is an idyllic venue with a marine playground at your fingertips. Peppers Airlie Beach has a casual ambience in a modern setting. The deep blue Coral Sea and the lush garden resorts create an unforgettable backdrop to capture those memorable moments on camera. The reception venue can host a party of a seated meal or a cocktail style event. Anywhere between 2 to 120 guests can join in the festivities. A dedicated wedding coordinator will be on hand to help you create the perfect day with the true essence of your special love. Tucked away in a seaside enclave, Airlie Beach Coral Sea Resort is luxurious and tranquil in every sense. This oceanfront wedding venue will delight from the ceremony to the reception and even the honeymoon if you wish. 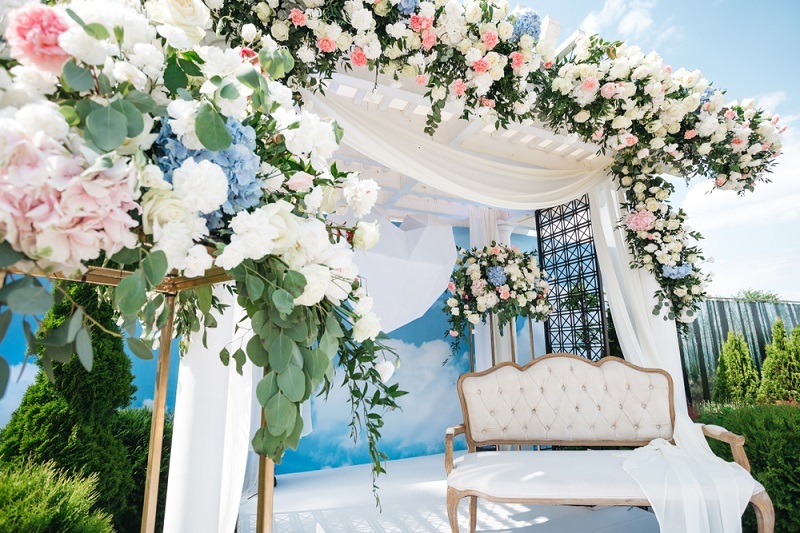 The manicured lawns and romantic gazebo make for a perfect ceremony spot. There are many dining options for the reception around the resort, with various guest capacity options. The resort offers affordable wedding packages with many choices to help make planning your special day stress free. Throughout this article, we’ve explored some top wedding venues in the Whitsundays. This holiday-resort style part of the world is a destinations filled with relaxation, happiness, and true love blossoming around. This is why it is such a top choice for excited couples embarking on their nuptials.